The Magisterium: where magicians are trained to control their skills. Most people would do anything to gain admission and pass the Iron Trial. But Callum Hunt is not most people. All his life, his father has told him never to trust a magician and that he must do everything he can to fail the admission test. But, ironically, Callum fails to fail, and so his future seems irrevocably bound up with the magic he's tried so long to reject. And, as we'd expect from a school that quickly reveals itself to be both sensational and sinister, it's not long before Call discovers that everything he's been told about his past, magicians, and the war against the Enemy of Death might not be the truth after all. Holly Black and Cassandra Clare are both acclaimed and popular authors of fantasy fiction. Holly Black is the co-author of The Spiderwick Chronicles, while Cassandra Clare is best known for The Mortal Instruments series. With Magisterium, a planned five-book series, I suspect they've created a best-selling juggernaut that will attract a legion of followers. Comparisons with Harry Potter are inevitable. Call and his friends Tamara and Aaron are the Harry, Hermione and Ron of the Magisterium. The Enemy of Death and Voldemort would probably enjoy hanging out together. And Harry and Call have a lot in common when it comes to their mothers. But this is a comment coming from an adult reader who's devoured every one of the Harry Potter books multiple times. It's also not intended to be a criticism, as virtually any book with a magical theme these days is bound to come up against the Hogwarts factor, no matter how many points of difference it has. 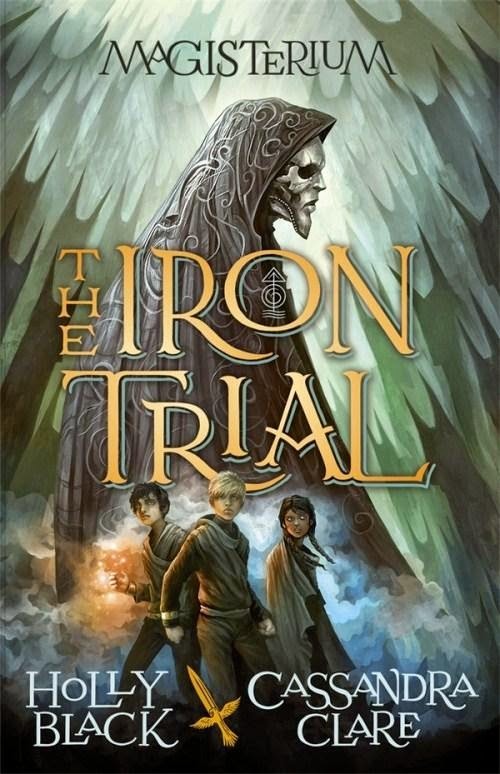 Kids will love the adventure of The Iron Trial. It's got magic, friendship, challenges and triumph against the odds. The writing is fast-paced and engaging, perfect for the intended readership. And I, for one, am looking forward to book two in September 2015.